Whenever I get the time I do a lot of research on costumes and dancers. One such pair of dancers that I found on a fluke while researching online are Nita and Zita...here is their story. 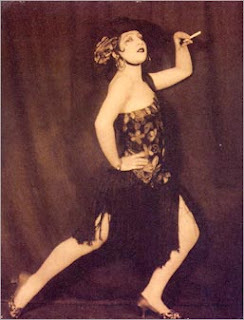 "Flora and Piroska immigrated to the U.S. from the Jewish shtetl of Nagybanya, Hungary, in 1922 to pursue their career as "international dancers," performing under the names Nita and Zita. 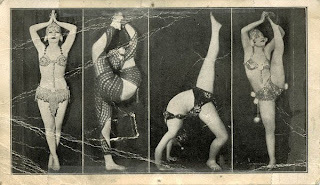 Photos indicate that their act combined burlesque and acrobatics. Together, they performed all over the United States, and, as far as we can tell, Shanghai, Panama, and perhaps Paris and Egypt. The sisters were known for carrying their elaborate, handmade clothes and costumes with them in two steamer trunks. In the late 1940's, the sisters settled in New Orleans and became quite reclusive. Their home became their refuge. They painted their entire house -- inside and out -- in brightly colored sponge patterns, and painted most of their furniture with intricate spider web figures. 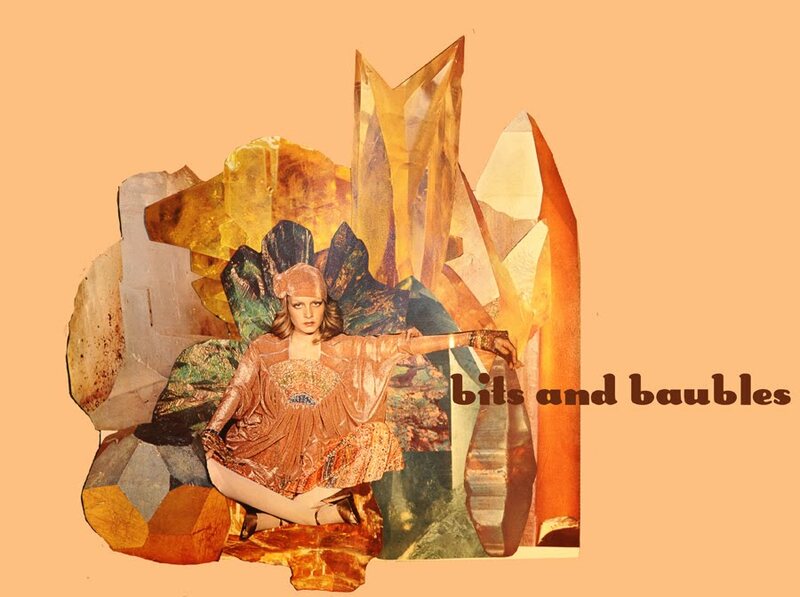 On the rare occasions that they did leave the house, they dressed in fine handmade clothes of their own design. Flora and Piroska died in 1985 and 1991 respectively. They are buried in the pauper's section of Hebrew's Rest Cemetery in New Orleans. The only people present at Piroska's funeral were a Rabbi and Betty Kirkland, the sisters' next door neighbor. Upon gaining permission from their only living relative to sell the sisters' belongings, Ms. Kirkland opened their home to what became a five-year garage sale. The house was literally packed with thousands of pieces of handmade clothing, hundreds of photos of Nita and Zita performing, handmade bead curtains, handmade placards advertising Nita and Zita performances, and more. Curious locals, vendors of vintage clothing and -- eventually -- collectors of outsider art snapped up Nita and Zita's clothes, furniture, photos and collectibles until Ms. Kirkland closed up shop in 1996. This sparked a veritable New Orleans underground "war," as several vintage clothing store vendors and Ms. Kirkland clashed over who was the authentic protector of Nita and Zita's image and memory. Today, Judy's Collage, the vintage store which was the primary seller of Nita and Zita goods, has closed down. The proprietor, Cindy MacMurray, has created a website in Nita and Zita's memory, and made a poster paying homage to the two sisters. One of Nita and Zita's costumes is in the collection of the Lousiana State Museum in the French Quarter. We have a few Nita and Zita pieces which we use in the show, on loan from a local New Orleans collector. As far as we know, all other Nita and Zita pieces are scattered across New Orleans and the country, held by private collectors. From what we have gathered, Nita and Zita would shop at thrift stores, looking for clothing made out of the highest quality fabric possible. They would alter the clothes for fit, as well as to match their personal style. Many of their dresses featured long sleeves that tapered down to a point at the knuckles of the hand. Much of the clothing featured prominent stitching wit thick, dark yarn. Our costume designer, Olivia Wildz, used actual Nita and Zita costumes as a starting point and inspiration for her original designs for the show. 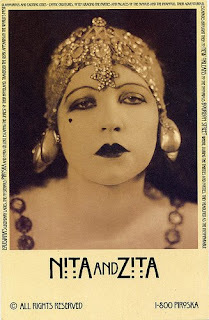 the image of "ZITA" gazing at you..
great post!! i just learned about these amazing women. what inspiration lives they lead.